Thanos’ snap decimated the Marvel Cinematic Universe and sent ripples through ours. In Avengers: Endgame the remaining Avengers take one final stand against Thanos. This meetup is a “pep rally” for Avengers: Endgame as well as a appreciation event for all of the films of the last decade. 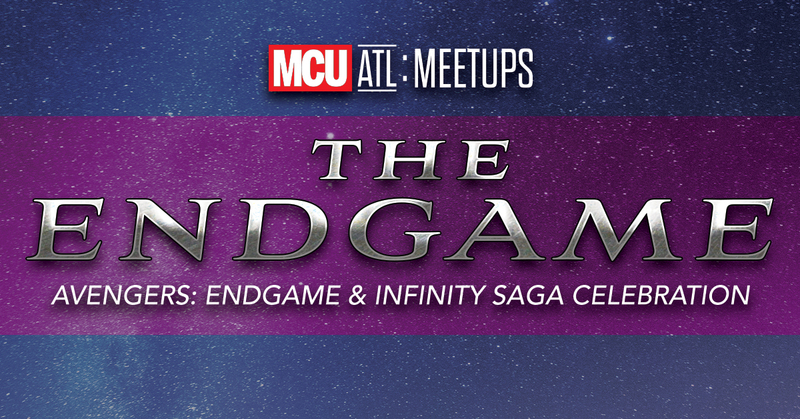 Join MCU ATL as we raise a toast to Earth’s Mightiest Heroes before they embark to save the world, or avenge it. This is a FREE event however you MUST PREREGISTER. Come out and enjoy, great music, conversation, prizes and activities. Fans of all levels are welcome! Whether you have seen every movie and connected series or are just now getting inspired to hop on the MCU train we invite you to come and enjoy the festivities. We hope to see you there! Everyone is welcome, however YOU MUST BE 21+ TO DRINK. IDs will be checked. Second Self has a wide variety of premium beer. The also have water and non alcoholic beverage choices. The Real Mexican Vittles will have their Food Truck on site so you can get your grub on!